– designer jewellery, children’s toys, candles and toiletries. Homeware : Mugs and Ceramics, Candles and Diffusers, Photo Frames and Albums, Lifestyle, Carnival Lights etc. Jewellery : Gold, Fashion and Silver. Children : New Baby Gifts, Gifts for Toddlers and Young Children, Gifts for Kids, Toiletries etc. 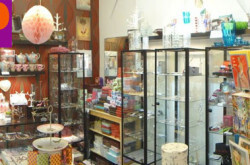 Brands : Dansk Smykkekunst Copenhagen, Luckies, Jellycat, PiP Studio, Magpie, Lush Designs etc. ** Gift Vouchers – gift vouchers available in £5s, £10s and £20s.